Canadian rock act DANKO JONES has just signed with AFM Records to a worldwide deal (except Canada). After having reached their highest chart positions to date in a handful of territories with their previous album Fire Music and having been awarded Gold and Platinum singles in Sweden, DANKO return with their new masterpiece, Wild Cat, once again produced by Juno Award winning producer Eric Ratz. "To accompany the release of the album we’re heading out on a 17 date European tour (dates below). Tickets go on sale this Friday so stay tuned. A Canadian tour as well as more European dates will be announced in the near future as well. See you soon!" 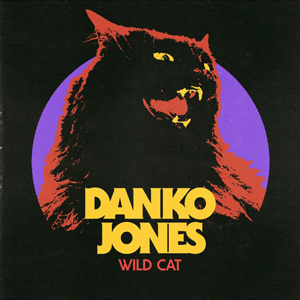 Danko Jones have never felt more vibrant or hungry than they are on Wild Cat. The 11-track album is a raw representation of the band’s collective musical history and influences, and without a doubt their most solid album yet. Tracklisting: “I Gotta Rock” “My Little Rock N Roll” “Going Out Tonight” “You Are My Woman” “Do This Every Night” “Let's Start Dancing” “Wild Cat” “She Likes It” “Success In Bed” “Diamond Lady” “Revolution (But Then We Make Love)” Check out a Wild Cat teaser below. The Wild Cat World Tour starts off with two shows in Finland in February and a series of shows in Europe in March and April. A Canadian tour and more European dates will be announced shortly, with other territories to follow. For dates and more information on Dank Jones visit Dankojones.com.